Getting traffic to your website doesn't have to be difficult. In this post I'll show you how I helped my agencies increase their website traffic and traffic quality. Have you heard about Topic Clusters? I'm going to keep this post short and simple because getting started with Search Engine Optimization (SEO) can be just that. What I've been using with my agencies who have seen a steady increase in their organic traffic are called Topic clusters. Topic Clusters can be seen as folders which are categorized, i.e. each folder contains files that are related to it. So if you would have one folder named "Inbound Marketing", you'd have files related to the folder such as "How to Improve your Inbound Marketing", "Get Started with Inbound Marketing", "Why start with Inbound Marketing" etc. In SEO terms, the folder would be called the Pillar content and the files within the folder would be called Cluster pages. I.e. A Topic Cluster consists of a Pillar (folder) and Clusters (pages). As you notice from my example, the Pillar is a broader description of the Clusters related to it whereas the Clusters are more descriptive (long-tailed). How do Topic Clusters, Pillar Content and Cluster Content work? Well that's it really. Much like when you are categorizing files into folders, working with pillar content works the same way. The folder (Pilar Content) will be receiving the SEO power from the pages within it (Cluster Content). By doing so, you are telling Google/Bing etc. "Hey Google, I would like these pages (Cluster Content) to give SEO power to this main topic (Pilar Content) since they are related and relevant". The anatomy of Topic Clusters look as below, you have the main pillar (folder) in the middle which is surrounded by cluster content (pages). The pillar content will link to each cluster content and vice versa. This linking is really where the magic happens. 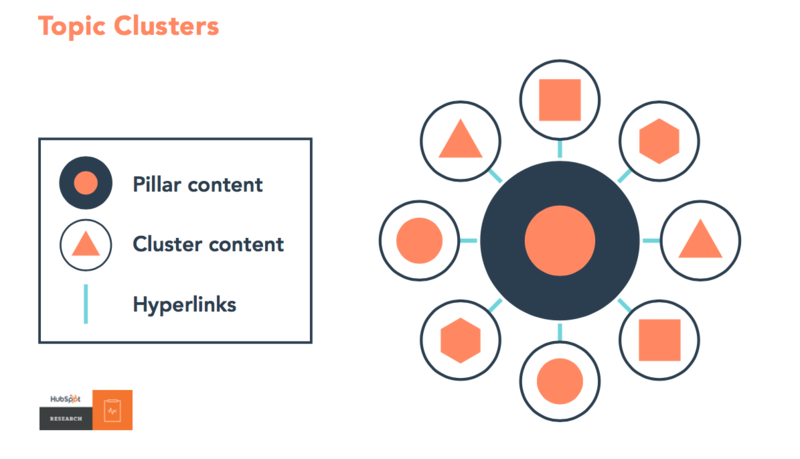 If you have a website, then you automatically have cluster content. What you need to do is categorize your content. Easiest way to do so is by performing a Content Audit unless you've done so recently. A Content Audit will help you list all of the pages you have, when they were created, type of page etc. My content is not relevant/outdated and needs to be retweaked. I need to create more relevant content. It's alright, take your time and make sure you have quality content in form of content that is helping your ideal customer solve whichever challenge they are facing. Otherwise you'll spend time trying to boost content which isn't adding any value to your prospects and no results will be shown. 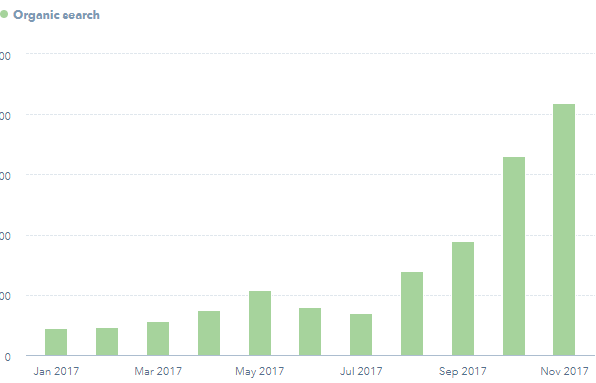 So how did the Traffic Increase by 300 %? Simple. I explained the above, identified their situation and helped my agencies get started with The Strategy Tool. 2-3 months later, the results were in and boy were they happy. 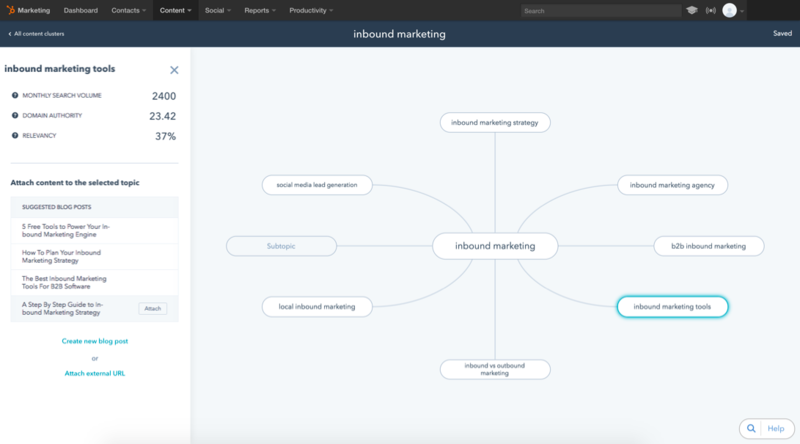 The tool looks like this and apart from putting in your Pillar content in the middle and surrounding it by your Cluster content you get a live analysis regarding how relevant the terms you are putting in are for your website, their search volume and domain authority. Hopefully the above has shown you that SEO doesn't have to be a major obstacle to overcome. All you need is relevant content and helping search engines understand it. Any thoughts you want to bounce off regarding this blog post, inbound or open roles? Let me know!